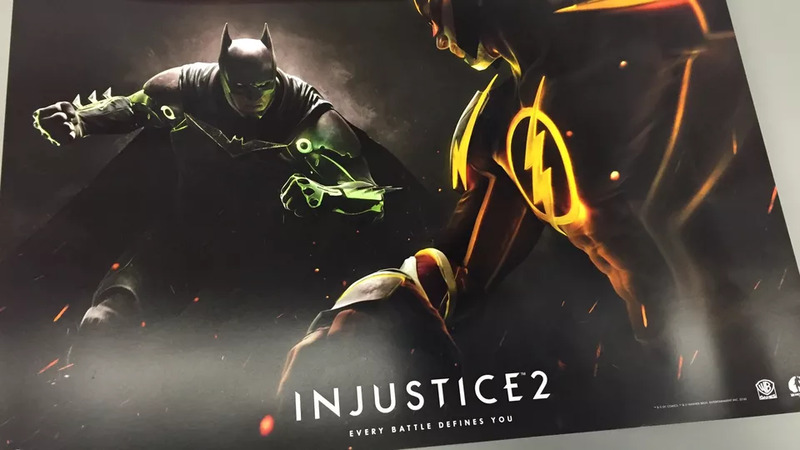 One week ago news started to surface of a potential sequel to the 2013 DC fighting game, Injustice: Gods Among Us, and now some leaked promotional art for the Gamestop chain that was sent to Polygon seems to confirm that the game is indeed real enough to the point that pre-orders will probably be open soon. While the first game focused on a conflict between the differing ideologies between Batman and Superman in a parallel world where Superman ruled with a fist of steel, the poster art prominently features Batman opposing another key member of the Justice League, The Flash. It also confirms the game as being exclusive to the current generation of consoles, the PS4 and the Xbox One, similar to Mortal Kombat X before it which was to have a paired down version for the last generation of consoles that eventually was cancelled. It can be assumed that a PC version is in the works as well, but not sold through Gamestop and thus omitted from their promotional material.